Injured in an Accident? Injured by someone's neglect or carelessness? Napolin Law is the new best firm for injury cases. Put our Successful Trial Team in Your Corner Against the Insurance Company. Representing individuals for Personal Injury, Auto Accidents, Wrongful Death and Catastrophic Cases. 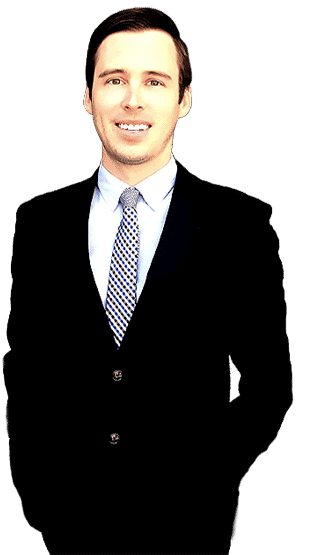 Claremont California Lawsuit Attorneys - We Get Results! 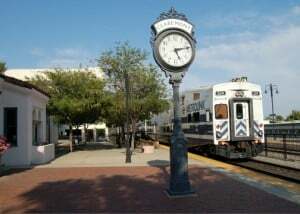 Napolin Law | Claremont Injury Lawyer is located at the center of the beautiful city of Claremont, CA. Free consultations are available to local individuals and families who are suffering from personal injury and wrongful death. In the event that you or your family member is the victim of someone else's careless actions, Alexander D. Napolin, Esq. 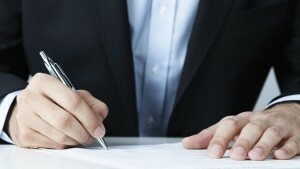 is available to discuss the best course of legal action. Napolin Law | Claremont Injury Lawyer puts a successful trial team in your corner. Our legal team knows how to present your case and take on the big insurance companies in court. When you obtain the advocacy of Napolin Law, you gain the benefit of a law firm that has studied and understands the current law and insurance system. We have decades of courtroom experience coupled with a forward thinking and innovative mindset that keeps us one step ahead of the insurance companies game. With a principal office located in the historic downtown area (the village), Napolin Law is conveniently located to provide in person meetings and services to those who reside in the Inland Empire, Los Angeles and San Bernardino Counties. As part of its commitment to excellence, Napolin Law offers Southern California local clients with in person free legal injury case consultations and evaluations. Oftentimes personal injury situations require extensive research before they can be properly taken to a court of law. Free legal consultations and case evaluations are the best first step for people who believe they have a case to help make sure that they not only are able to reach the most satisfying possible conclusion in court, but so that they also recover any monetary damages that they are properly entitled to. Claremont Residents can surely find confidence in a very good law firm just right around the corner in Downtown Claremont Ca. If you live in or around the Claremont area and are looking for an experienced attorney to help you navigate the waters of a personal injury situation with passion and conviction, please don't delay contact Mr. Napolin and Napolin Law today at 909-325-6032. We take pride in not only the extensive legal services that we're able to provide to those in need, but also the intimate, ongoing levels of communication that we're able to provide to our clients that you just won't be able to find anywhere else. 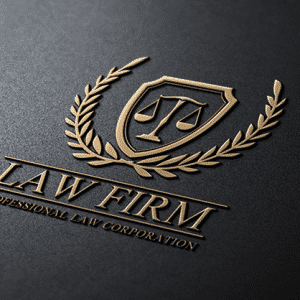 For more information about our professional law practice Call us now at: 1-909-325-6032. Our Claremont Office is proudly located at 269 W. Bonita Avenue, Claremont, California 91711. Our Office evaluates clients cases by scheduled appointment Monday through Friday 9:00AM to 6:00PM and offer consultations on weekends determined by emergency as well as necessity. Several legal situations can be time sensitive and need urgent special attention to be handled within the appropriate way. Never proceed without having appropriate qualified professional help when you've got a community law firm that has the depth of legal experience to evaluate your situation as well as protect your case effectively. 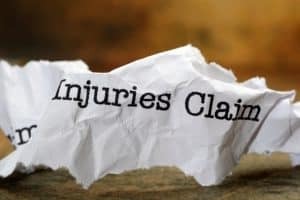 Accident Injuries, Slip and Falls, Nursing Home Abuse, Medical Malpractice, Wrongful Termination, Personal Injuries, Car Accidents, Workers' Compensation, Motorcycle Accidents, and all Injuries Claims. 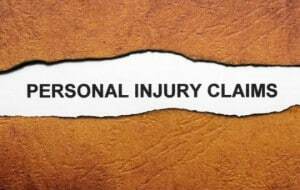 Claremont Personal Injury - If you or a family member has experienced any type of physical harm due to the actions (either intention or unintentional) of another party, you have been involved in a personal injury law situation. As a result, it is of paramount importance that you contact a personal injury lawyer like Napolin Law Firm, Inc. to help make sure that all of your rights are protected and that you're taking the best possible steps to address the situation right away. Alexander Napolin and Napolin Law Firm, Inc. offer free legal consultations in all personal injury situations that are designed to not only help make sure that you're aware of the process of filing a personal injury claim and more, but also so that you can take the appropriate steps to successfully bring your case to trial and get the fair and just compensation that you so richly deserve. The Napolin Law Firm has years of experience in the field of California personal injury litigation and, as a result, knows how to both properly present your case and make a strong settlement demand as quickly as possible. If necessary, the Napolin Law Firm is also prepared to see your case all the way to trial so that you can have guidance and support every step of the way. We will handle all communications with the insurance company in question. From the moment you hire Napolin Law Firm, Inc., you no longer have to deal directly with people like insurance adjusters who don't know how much your case is worth, are not concerned with your health and well-being and more. We will handle any and all required communications, allowing you to focus your attention on the most important thing of all: getting the medical attention that you need so that you can recover and get back on your feet as quickly as possible. Medical evaluation and treatment. At Napolin Law Firm, Inc., we believe that nothing should stand in the way of getting you the treatment you need when you need it the most - even if you don't have health insurance coverage. We will work tirelessly to find you a doctor to provide you with both a medical evaluation and the ongoing medical care you need. Property damage. If your own personal property has been damaged in your accident (like if your car was totaled during a car accident), we will help repair or replace it to help you resume your life as quickly and as efficiently as possible. Lost wages or other earnings. If your injuries are so severe that you cannot return to work for a period of time, we're more than prepared to assist you in getting the types of disability benefits that you need to stay financially strong during these trying times. We will also help make sure that you are fairly compensated for any wages that you lost as a result of missing work or other earnings that you are entitled to on behalf of the insurance company of the negligent party. Going to trial. If you are not offered a fair settlement, Alexander Napolin will prepare the strongest possible case to bring your situation to trial. 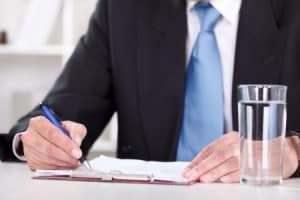 He absolutely will not rest until you get the results that you deserve, regardless of the type of personal injury situation that you find yourself in. 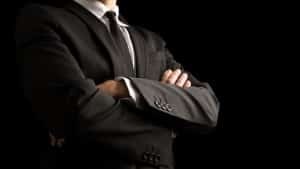 Car Accidents, Personal Injury Defense, Toxic Torts, Insurance Defense, Sexual Abuse, Wrongful Death, Workers’ Compensation, Birth Injury, Libel and Slander, Pedestrian Accidents, Brain Injury, Truck Accidents, Helicopter Crashes, Railroad Worker Injury, Premises Liability, Medical Malpractice, Motorcycle Accidents, Accident and Injuries, Dangerous Products, Dog Bites, Asbestos Mesothelioma, Rollover Accidents, Construction Accident, Nursing Home Abuse, Aviation Accidents, Personal Injury, Defamation, Cruise Ship Injury, Slip and Fall Accidents, Drugs and Medical Devices, Toxic Mold, Class Actions Plaintiff. Full name on the other driver or drivers. Driver’s license number connected with all the other drivers or driver. Other drivers or driver date of birth. License plate from the other driver’s vehicle. If you or a loved one is unfortunately involved in a car accident in the state of California, there are a number of important steps that you need to take next. Making sure that you understand the process of personal injury law and know what is required of you is a big first step towards navigating your case to the best possible conclusion in a court of law. In the minutes, hours and even days after a car accident or other type of personal injury situation, it is understandable for you to feel overwhelmed. Use this helpful resource to find out what you should do immediately as well as what potential issues you need to watch out for in the days ahead. Car Accidents can happen in the blink of an eye, leaving victims feeling confused, stressed and overwhelmed. Learn more on how our Law Firm can help you.... Car Accident Injury Legal Help. 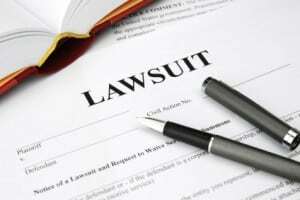 Deciding On The Best Motor Vehicle Accident Injury Attorney In Claremont Ca. Once you start the steps involved in searching for a car accident lawyer, it is best to have a couple of essential things on your mind. 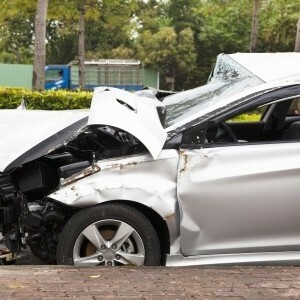 To begin with, it is best to select a qualified professional that has knowledge about the unique style of injuries that you have experienced in a motor vehicle collision. Motorcycle cases differ from motor vehicle accident court cases which can be distinctive from the injuries suffered with compensation for benefits in healthcare and medical needs. Make sure that you select someone who you will have confidence in above your expectations in a lawyer plus who's equipped to direct you through every part in the legal process for the most effective, favourable outcome possible. Because we deeply believe that all people in Claremont, California and the surrounding areas should have access to high quality legal professionals regardless of obstacles like their current financial situation, we also proudly offer a "No Fee Promise" to all of our clients. Simply put, if we don't win your case, you don't pay for our services - end of story. We want to take whatever steps are necessary to help make sure that you not only are awarded any financial compensation that you are entitled to, but that you also walk away as happy as possible from your situation. 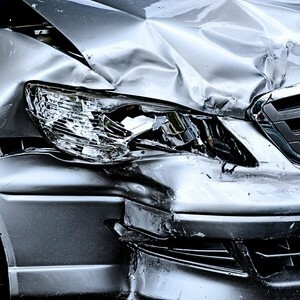 In need of a Personal Injury Car Accident Lawyer, call Napolin Law Firm at 909-325-6032 or fill out a case evaluation form atwww.NapolinLaw.com. In the state of California, all businesses that have employees are legally required to provide specific types of insurance designed to cover things like medical benefits, wage replacement and more for injuries or illnesses that may have been sustained on the job. Use this resource to find out more about California workers compensation, what it is supposed to do and the important role that you have to play in the proceedings. Every year 1000s of employees are seriously injured at work throughout California. When you're seriously injured at the workplace, you're protected by a particular branch of personal injury legislation called Workers' Compensation. 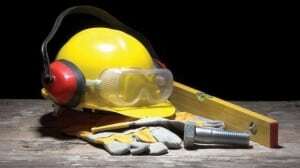 When you have sustained a personal injury at work or even have serious pain because of repetitive labor or harmful direct exposure to harsh chemicals in your job, you need to be able to have medical care as well as time off work to heal from your current accidental injuries. The fact is that, a tremendous amount of seriously injured employees have a problem getting benefits from their particular workplace as well as the insurance provider. Often the insurer will not inform the seriously injured employee of all of the many benefits to which the covered employee is actually eligible for. In other cases, the insurance provider may fully reject that the personal injury actually happened or fully deny to give the proper benefits due to the worker underneath the law. Regardless of what issues you have to deal with, if you've been seriously injured at your workplace, you need to speak about your needs with a skilled Claremont California workers comp attorney such as Alexander Napolin. Once you call Alexander D. Napolin at 1-909-325-6032, he will talk with you at no charge regarding your distinctive legal problem immediately. Here at the Napolin Law Firm, Mr. Alexander D. Napolin in person insures your current case is taken care of to receive the financial injury compensation as well as health-related benefits in which you deserve. By simply retaining the Napolin Law Firm along with filing a compensation claim, you'll have a professional workers compensation legal professional working for you. 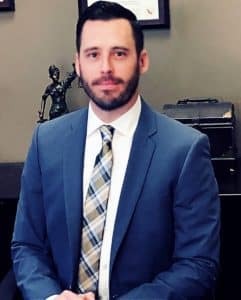 As you contact the Napolin Law Firm, you will have the opportunity to discuss with Mr. Alexander D. Napolin free of charge concerning your injury case and claim situation. The Facts and important questions you currently have relating to your claim. Discover your current highest payment cost. Ensure that you get assistance with what direction to go within a complex issue. Look into the insurance policy coverage of one's workplace. Perform research with regards to your accidental injury. Secure an individual's best compensation benefits and rights. In the event you decide to retain the services of a legal professional as well as submit a claim, you need to have powerful counsel which has a knowledgeable experience with workplace injuries and illnesses in Claremont California and surrounding areas. A free phone call with Mr. Napolin provides you with a much better idea of an individual's legal condition to be able to help to make educated and informed choices as to what you need to do. There is absolutely no reason a person should tackle one's own compensation claim by themselves when a confidential call to the Napolin law Firm is completely free of charge and needs absolutely no obligation to hire Alexander D. Napolin. Plus, if you choose to employ The Napolin Law Firm to fight the insurance coverage agency, you will only be charged once the Napolin Law Firm settles or simply has won the the lawsuit. Hire The Napolin Law Firm In Claremont For Workers' Comp. 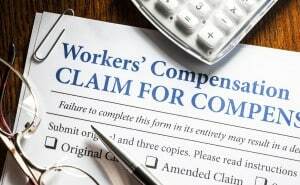 Virtually all workers compensation claims are taken on a contingency rate base, which means the lawyer cost is actually taken as a percentage of financial compensation recuperation. The Napolin law Firm has effectively made it easier for 1000s of seriously injured employees understand the difficult California workers’ injury compensation procedures. Alexander D. Napolin looks forward to understanding your current legal condition as well as creating a strategy to allow you to get the proper rights plus benefits which you deserve. If you, a family member or friend have any injury related legal issues please contact our law offices. Call Now: 1-(909) 325-6032 - We are available! I'am incredibly impressed with the care and support they have given to my friend.